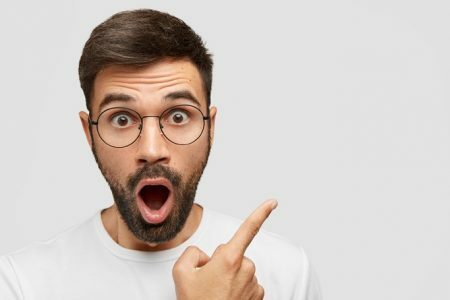 On average, five times as many people read the headline that read the copy. When you have written your headline, you have spent eighty cents out of your dollar. Who are we to disagree with the Father of Advertising, really? The headline of a blog post needs to be creative and magnetic. It’s what draws the reader’s attention at the first sight and prompts them to read what you post. Writing a headline that grabs your readers’ attention is a critical skill. If you want to create fascinating headlines, you need to thoroughly understand your blog’s concept and then write down the headline that can both deliver the desired message and also persuade targeted readers. You can get some great tips from here as well. Bottom line: It needs to be short and spunky, something to draw your readers’ eyes and entice them to take a look at the whole thing. You can’t squeeze everything about your content in the 5-10 words of a headline. This is where subheadlines come to the rescue. You can use sub headers to start, finish, or explain (in short) what your content is about. Attention can be caught by the headline, but interest is generated with your sub-headers. Bonus: Keyword-friendly subheadlines make your content more visible to search engines. I am a huge believer in KISS (Keep it Simple, Stupid) and I will do everything I can to tone down the jargon or huge, pompous words. If no-one understands what you’re saying, you defeat the entire point of content marketing. Simply put, use simple words to explain. Of course you can use jargon, but only where jargon is necessary. Everywhere else, keep it short and sweet unless the context (or the content itself) demands heavy words and brutally large explanations. Articles are a thing of the past. Everyone’s writing ‘listicles’ now. 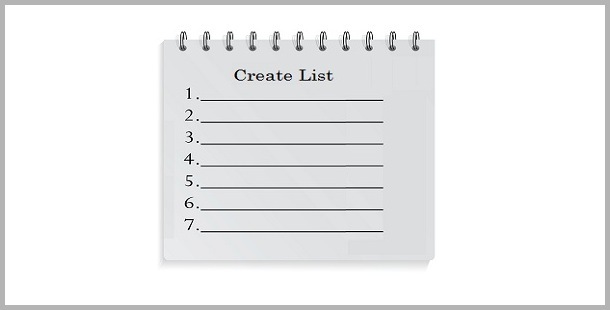 Make your blog post more easily understandable by using numbered lists or bullet points. It helps people read blog posts and find the information they are looking for instantly, without much effort. Use full stops, commas, colons and dashes to divide the mass of words into smaller chunks of information that make sense. 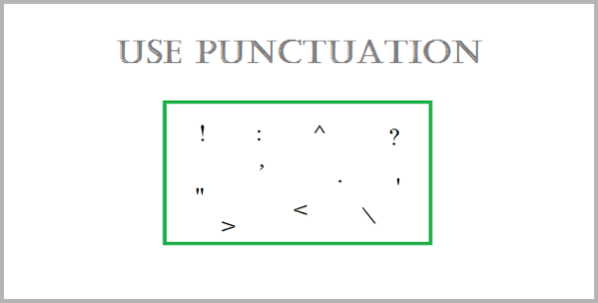 If you are not sure about punctuation, then keep sentences short and digestive. As you gain experience in writing, you can lengthen your sentences, and break up them by using commas. By breaking up long sentences, you can make your blog posts engaging as well as informative. Make sure to provide your readers the desired information in an easier way. In a mobile age, we as readers, are more used to reading top-down than left to right. If you are using the WordPress or Blogger layout along with a specific wide content column, it will be better to select a new layout, or adjust your column width. You can use 80 characters or less in the width to make your blog post narrow. Monotype Corsiva looks amazing. But if you wrote that paper on, say, Shakespeare’s contribution in that font, prepare yourself for a low grade. Regardless of what you wrote you will be graded down. Let that be a lesson (hypothetical one): The web is no different. While you can and should do everything to put your brand personality to proud display, keep the fonts and typefaces legible. 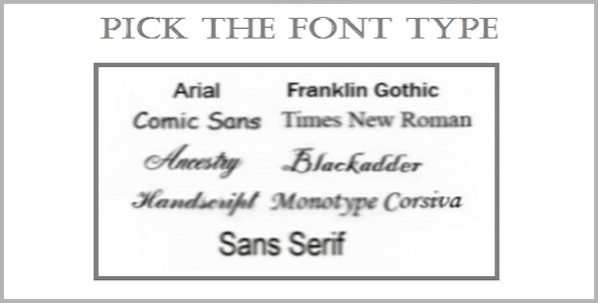 Sans-Serif fonts (without the squiggly bits) are easier to read on-screens, and of course there are others. Many leading bloggers use the sans-serif font Roboto that is created for easy reading. Remember, bloggers: Test your web fonts for legibility. Choose a big font size while writing your next blog post. Tiny writing is tough to read online, so it is better to make it bigger. Check out some of your favorite blogs and compare the font size they use and then you can decide what works best for your potential readers. 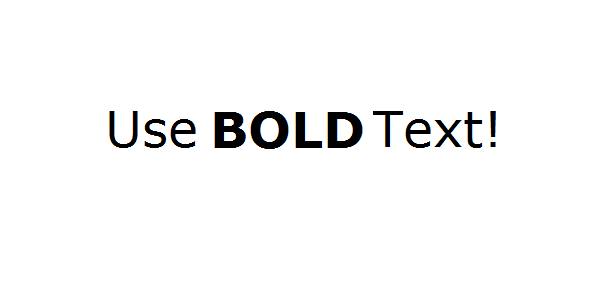 Grab your reader’s attention by using bold text in your posts. But only do this strategically. Writing an entire paragraph in bold will make your blog ineffective. 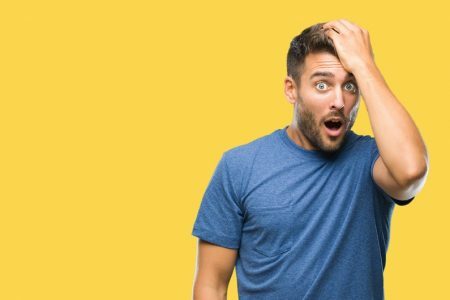 But using this tool to highlight some important sentences is an ingenious formatting technique that will put extra emphasis on things you want to stick out in your readers’ minds. Italics are a great way to emphasise a point, or a question, in a more discreet manner than bold text. But don’t over do it because after a while italics strain the eyes. Don’t be afraid to dabble with capital letters for entire words every now and then… They JUMP off the page at your readers. Every story has three major parts: the beginning, middle, and the end. So, you can start off with the introduction, then the main information, and end your blog by wrapping up with a conclusion. It will give a proper format to your blog post, and allow readers to more easily consume the information. Try to make your blog tempting so that your readers crave more content. Internal cliffhangers basically bridge your article, blog or podcast together by using emotions. These are statements and devices within your content that encourage readers to keep reading. After all, we engage based on emotion. Visually-appealing images will always attract readers to your blog post. 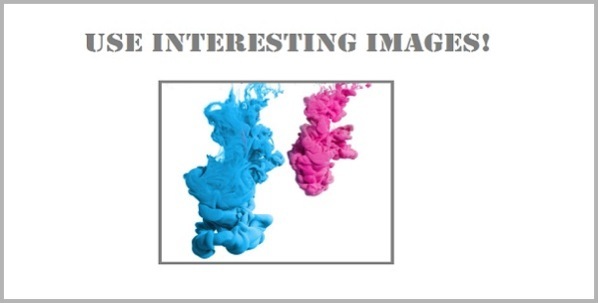 Noticeable images in a blog post emphasize its message and also grab the viewer’s attention. It will be great fun to use images to break up your lengthy content into digestive paragraphs. Reading fully text-ified posts is tiring and boring – so there is bonus points for relevant images that add to the ‘story’ of your content. 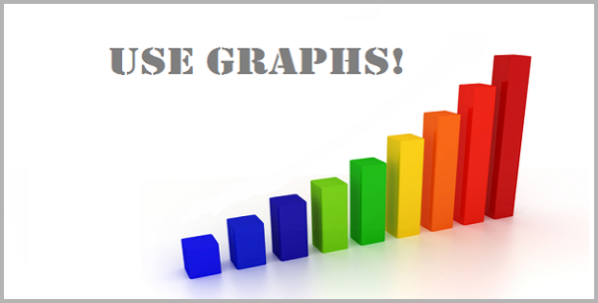 Graphs can be an essential tool for content marketers who are in technical industries or covering data-laden topics. Data visualization can divide the monotony of dry articles, and increase the chance of sharing. By creating graphics, you add significant visual interest and give depth to your blog post. It is not necessary to apply traditional rules of composition while crafting the perfect blog post. Instead of writing long sentences, you can divide your blog post into short, digestive paragraphs, as it allows the visitor to view the important points quickly. If you break up your lengthy content into manageable chunks you will engage more readers. Whitespace is basically the emptiness in between the characters, lines and paragraphs of your blog post. Proper use of white space in a blog will help prevent your readers from losing their place when they look away from the text for a little while. It allows the reader to process the information in the story, give their eyes a break and keep them engaged with the blog post. Your blog’s background color should contrast your text color because ultimately the hero of your blog post is the CONTENT. The best combination is a dark and vibrant text color on a light background. A white background is simple and least likely to cause distractions. 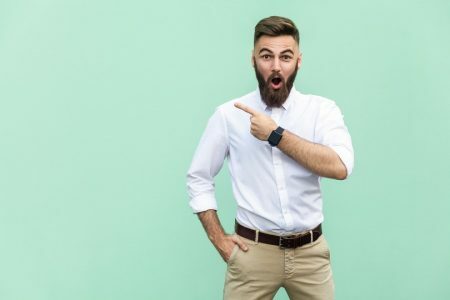 Showcase the purpose of your blog posts, especially the important points, with text call-out boxes (Such as block quotes). It will add some serious significance to your statement. Text call-outs can become irritating to readers, so make sure you use them sparingly. You know how the endings of all great horror movies are open? The main objective of effective writing is to take the reader on an interesting and informative ride from beginning till end. Try to wrap up your blog post in style so that you can deliver the message to the readers in the most exciting way. The ending of your blog post will determine the reaction and emotions of people after reading your content. You can leave them contemplative, excited, in suspense, and more, just with a few words that make your ending. Yes, that was a poor rip-off of Lewis Carroll’s famous line in Alice in Wonderland, but you can certainly see the similarities between a rabbit hole and the vast (and crazy) world of the web. Come on! The internet is a madhouse and you’re trying to be heard (sorry, read) above the noise. 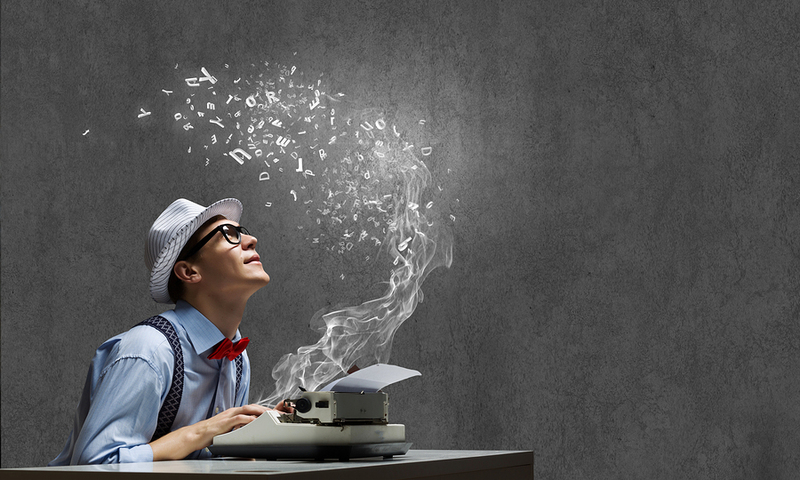 A nicely written piece of content is you trying to stand out from the crowd. And once the eyes are on you, your content will determine how long they stay there. Whip that blog post writing into shape and keep that spotlight on you forever. Guest Author: Lucy Barret is a WordPress Developer and a passionate Blogger. She is associated with HireWPGeeks Ltd. and provide HTML to WordPress service with her team of experienced WordPress developers. She is fond of writing WordPress tutorials and loves to share her knowledge with other bloggers. You can follow her company on various social media networks like Facebook and Google+.